There is no need to ring at 8:00am to book a routine appointment. All GP appointments are available to book online. You need to register for online services, ask at reception. If your GP wishes to review you they will give you a slip to take to reception to book this appointment. If this appointment is not soon enough, the next available appointment with any GP will be offered. Urgent appointments are available on the day. Minor Illness appointments are available with our Nurse Practitioner. We will accommodate everyone who needs to be seen on the day for urgent problems. For routine appointments, we encourage you to call ANY TIME during opening hours. To book an appointment please call 01623 550254. The appointment time is generally 10 minutes. If you have several problems to discuss, please ask reception to book a longer appointment which will help to keep waiting times down. Please make a separate appointment for each person needing to be seen. Telephone slots are available with each GP every day. These appointments can be used to discuss any queries with the GP if you feel that you don’t need to be seen. Please advise reception of the best number to contact you on. The GP will call you as near to the booked time as possible. Questions about your hospital care etc. Please help us by telling us as early as possible if you do not require your appointment any more. This allows us to to offer these appointments to other patients who need them. You can cancel an appointment by either phoning reception or coming in to the practice. You can also cancel your appointment by logging in to Systm-Online. We introduced the Urgent Care Clinic (UCC) to increase the availability of pre-bookable appointments whilst still seeing patients with urgent problems in a timely manner. This has led to more advance access bookings from 48 hours to 4 weeks for planned, routine care and long-term conditions management. Patient satisfaction with the new system has been excellent. 1. What is the clinic for? The Urgent Care Clinic (UCC) is run daily Monday-Friday, for same day treatment of urgent problems, minor illness and minor injury. A comprehensive but not exhaustive list of problem that can be seen is given in the table below. 2. When are the appointments? Slots are available from 08:30 - 18:30 and are booked in time order. 3. How do I book an appointment? Telephone the Surgery as soon as you know you need to be seen that day. 4. What should I do when I arrive at the practice? You will not be able to use the self check in. Please see the receptionist who will check you in and give you a brief questionnaire to complete about the reason for your appointment today. This is very helpful to the GP seeing you. If you need help filling the form out the receptionist will be more than happy to assist. 5. Will I be seen straight away? You will be seen in order of arrival. We anticipate that you will be seen within 30 minutes of your appointment time but this will depend on the daily demand. 6. If my problem is not urgent, will I still be seen? 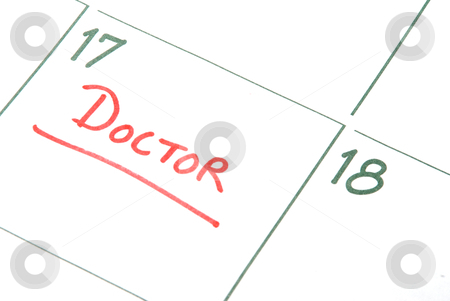 If your problem is not urgent you will be asked to return to the desk to book a routine appointment when adequate time can be given to your problem. 7. Are there specific problems that cannot be seen in the UCC? The clinic is not intended for multiple issues, chronic disease management, medication reviews or requests for fit (club) notes. We do not count late medication requests or continuation fit notes as urgent work. These are generally turned around within 48 hours. Please be prepared and order early. 8. Can I help myself before seeing the GP? Remember you can also see your Pharmacy First for minor illnesses, and we have a wide range of self-help materials and leaflets in our Information Area in the waiting room. This website also has a lot of self help information. We prefer to see patients at the practice where possible as more comprehensive examinations and tests may be carried out there. 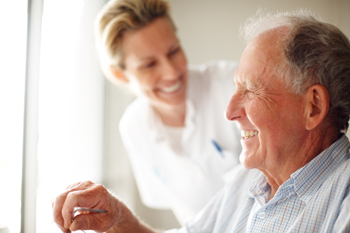 Home visits are generally reserved for housebound or terminally ill patients. If you feel too unwell to come to the surgery, please telephone reception (before 10:00 if possible). Your details will be taken and a doctor may call you back to assess your problem. Transport problems are not felt to be a reason for requesting a visit. Please try to make arrangements with a family member or friend to bring you, or consider getting a taxi. No patient in genuine need of a home visit will be refused. Pharmacy First aims to improve patient access to GP appointments by encouraging patients with certain minor ailments to use the pharmacy for treatment rather than making an appointment at the surgery. This will relieve the pressure on current appointment schedules and allow those patients with more urgent or serious needs to see the GP sooner. The scheme covers the whole of the NHS Nottinghamshire county area including community pharmacies and all GP practices. Patients can self-refer to any NHS Nottinghamshire County community pharmacy or referral can be made by the GP or practice staff or by any other healthcare professional. Download the Pharmacy First patient leaflet for more information. 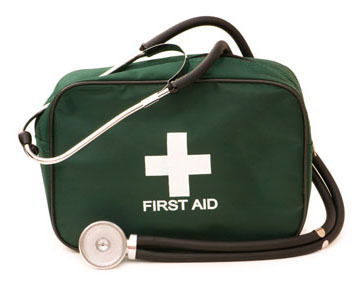 What minor ailments can be treated at the pharmacy? Who can use Pharmacy First? Patients must be registered with an NHS Nottinghamshire GP. The scheme treats patients over three months old with no upper age limit. Children under three months should always be treated by their doctor. The scheme includes all children up to 16 years old. Patients should be exempt from prescription charges. The patient should always be present at the consultation in the pharmacy. Medicines will not be provided for the ‘store cupboard’ or ‘just in case’. The pharmacist may not always provide medicines. Any treatment or medicines provided will always follow the guidance laid down in the agreed protocols. 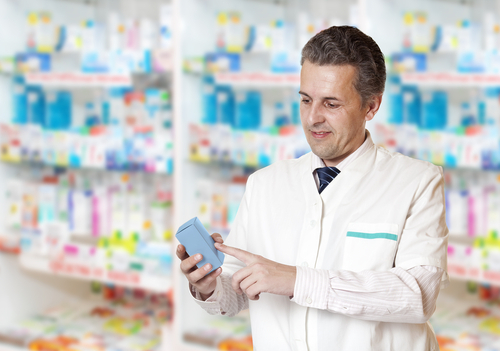 Pharmacists can only provide medicines that are listed in the agreed formulary under the Pharmacy First scheme. Patients who are referred to their GP by the pharmacist do not automatically ‘jump the queue’. They should receive an appointment in line with the practice’s reception protocols. Do I need to make an appointment to use the scheme? No. It is possible to walk into any community pharmacy (chemist’s shop) and ask to join the Pharmacy First scheme. You will then be able to have a consultation with the pharmacist if necessary. Most pharmacies have consultation areas you can use to provide privacy. Why do I have to bring my ill child to the pharmacy to receive treatment? The scheme is intended for patient with minor ailments. If your child is not well enough to attend the pharmacy then it is advisable to seek advice from your surgery. If the patient is not present at the pharmacy the pharmacist is unable to supply any treatment under the Pharmacy First scheme. Medicines will not be provided for the store cupboard, or ‘just in case’. Only patients who present at the pharmacy with existing symptoms will be treated. What happens when I need head lice treatment for my children? There will be an initial consultation with the pharmacist where you will be given advice on using a head lice detector comb, provided with a leaflet about head lice, and given a free head lice detector comb. You should then go home and follow the combing method described in the leaflet to see whether there are head lice present in the hair. If you do find head lice, you should capture one on a piece of sellotape as evidence of infection. This is to prevent over usage and unnecessary treatment, which may lead to the head lice not responding to the products. Return to the pharmacy with the evidence to show to the pharmacist, who will provide you with the necessary treatment. You will receive two bottles of head lice lotion, one to use immediately, and one to use in seven days' time. This should clear up the infection. It is good practice to comb your hair regularly with the detector comb, using the method advised in the leaflet. This can help to prevent future infection with head lice. Why can’t I use the scheme more than twice in a month? You may access the Pharmacy First scheme twice in any one month with the same symptoms. A third visit with the same symptoms will trigger an automatic referral to your GP for further investigation. A third visit with different symptoms would be allowed. If you need continued treatment for a condition, it is safer to ensure your GP is aware of the situation and advise you accordingly. If you require a 'Fit Note' for the first time you do need to see your GP. For continuation 'Fit Notes' please ring the surgery to request a further note. Please Note that we can not pre date notes only back date. PLEASE ALLOW 24 HOURS FOR YOUR FIT NOTE TO BE ACTIONED! If a note is required for less than seven days this will attract a fee.